for $450,000 with 5 bedrooms and 3 full baths, 1 half bath. 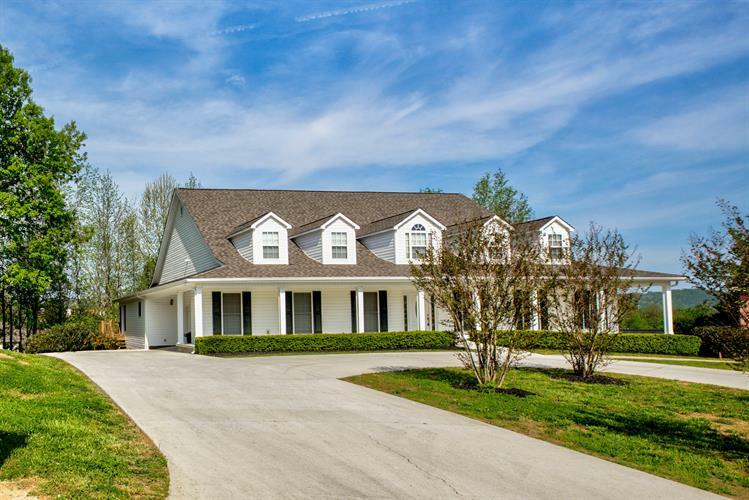 This 6,510 square foot home was built in 2007 on a lot size of 0.42 Acre(s). One of the premier homes in all of Lafollette! Feel like you are tucked away in the peaceful, serene mountains of Campbell County while being less than .5 mile from Jacksboro Pike. This one owner home could not be in more pristine condition and is the ideal home for entertaining guests or a large family. Home is entirely handicap accessible with one entire bathroom custom designed to service a handicapped person. The kitchen is straight out of a magazine with 3 sinks, 20+ cabinets with pull out drawers, gas range, and huge island. The basement is plumbed and wired for a second kitchen and with 2 outside entrances, it could easily be a second living quarters.